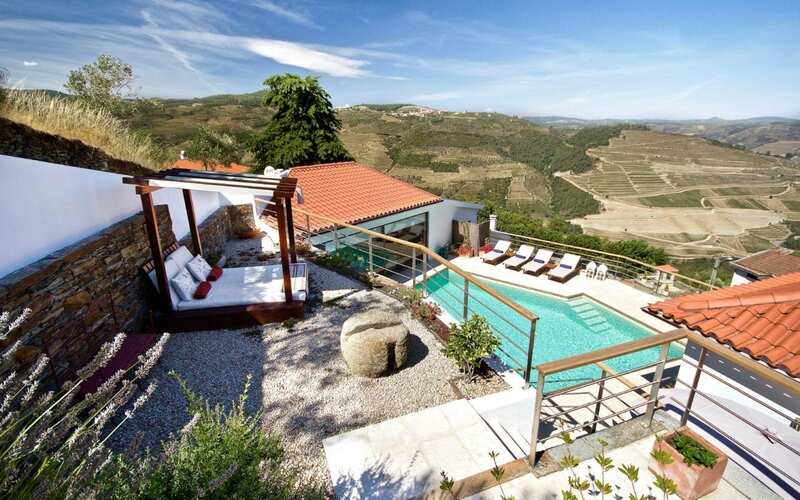 Home of port wine, the Douro Valley in northern Portugal offers spectacular vistas of terraced vineyards on both margins of the river Douro with the colour of the land changing throughout the year. In February and March when the almond blossom is out, there is an added white pinkish tone to the region, and in the autumn, the vines look particularly beautiful when they take on a reddish and golden colour. Zigzagging roads up and down mountainsides and between tributary valleys can make driving difficult, but they do offer a particular stunning unspoilt scenery. There is still very little in the way of developed tourism in the region and you will feel “far from the madding crowd”. 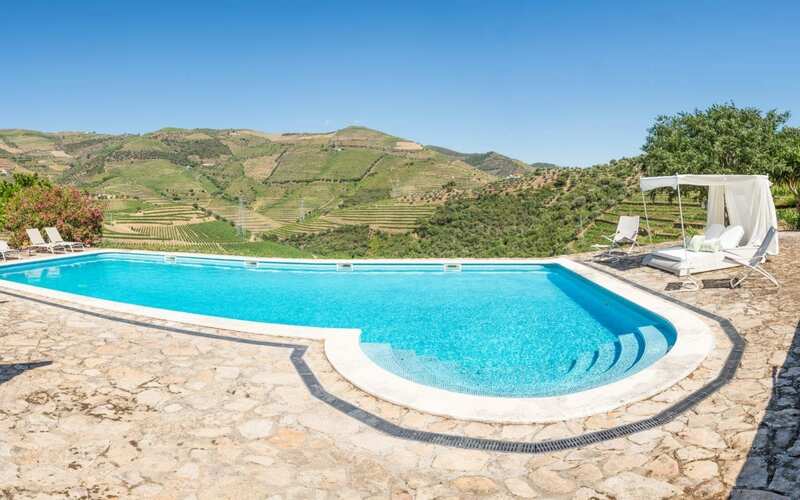 Yet the tranquil landscape of the Douro Valley offers plenty to see and enjoy, from nature walks to river cruises, a very relaxed approach to exploring the area. 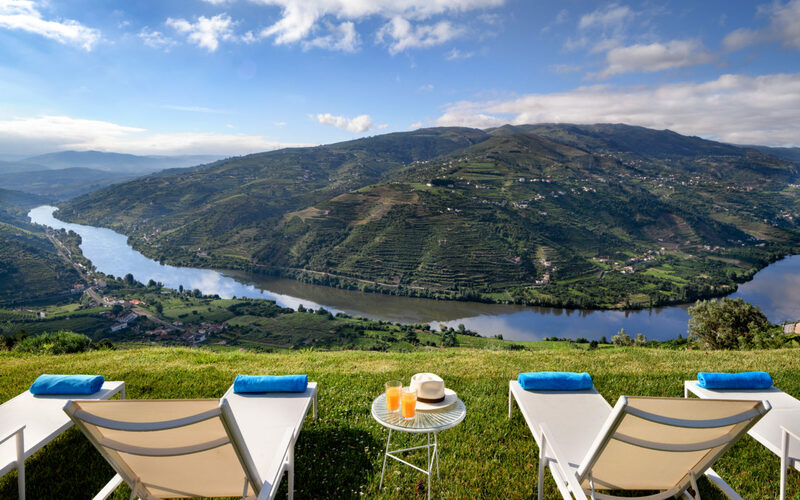 The Douro Valley is a UNESCO World Heritage Site, which recognizes the area around the Douro River where wine has been produced for the past two thousand years. 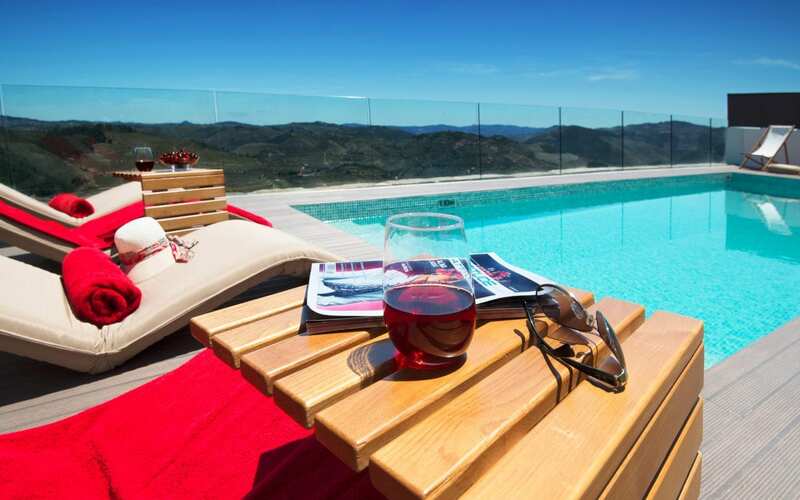 Since the 18th century, its main product (port wine) has been world famous for its quality. You can visit numerous Quintas, learn about the process, taste their production and buy Port directly. The region also has some excellent local restaurants, both simple and sophisticated, to choose from. Not to be missed is the unforgettable Historical Douro Train train up-river from Regua, past Pinhão and onto Foz Tua. Never leaving the riverside the steam locomotive goes past Douro Quintas and damn locks, with the landscape of terraced vineyards changing to dramatic rocky outcrops, making this one of Europe´s great rail journeys! You can also canoe on the river Douro or enjoy a 2-hour up-river cruise on a traditional Rabelo boat from the quayside at Pinhão. But if you rather fancy a bit of pampering instead, the 6 Senses Spa as well as the Vila Gale in Régua, both offer some great treatments.